These large capacity H-D® Detachables™ Leather Saddlebags are completely removable with the simple pull of the internal handle, leaving your bike clean and ready to cruise the boulevard. Fits '10 FLSTSE and '06-'17 FX Softail® models (except FXCW, FXCWC, FXS, FXSB, FXSBSE, FXSE, FXSTD and FXSTSSE). Models equipped with detachable accessories (except H-D® Detachables™ Tour-Pak® Racks) require separate purchase of Docking Hardware Kit P/N 88256-07. 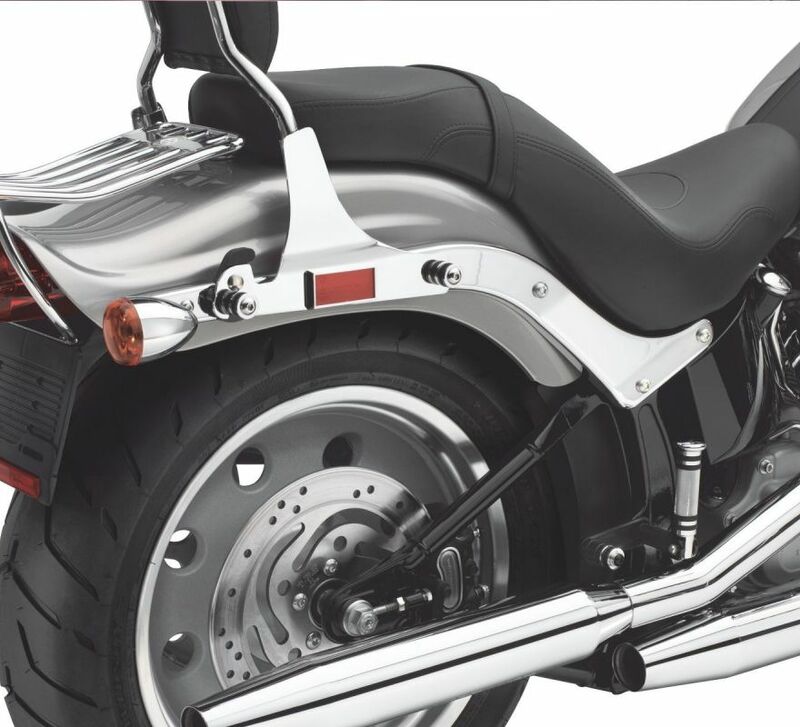 Models equipped with H-D® Detachables™ Tour-Pak® Racks require separate purchase of Docking Hardware Kit P/N 54245-10. Models without detachable accessories require separate purchase of Docking Hardware Kit P/N 53932-03A. Models equipped with Rigid Accessories also require separate purchase of Docking Hardware Kit P/N 88298-07. FXSTC models also require separate purchase of Docking Hardware Kit P/N 88297-07. All models require separate purchase of Rear Directional Relocation Kit P/N 69857-07. 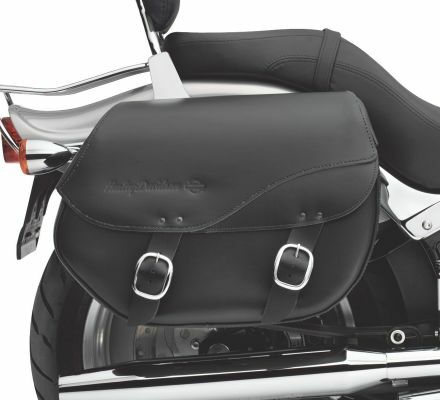 Does not fit with Passenger Footboards, Rear Saddlebag Guards or Rear Axle Covers.